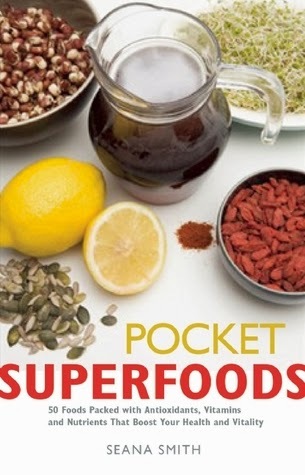 From Goodreads ~ Pocket Superfoods is a pocket-size index of all the nutritional information, fun facts, and practical tips readers need to know about the top 50 superfoods, including nuts, berries, avocado, barley, chia seed, lean meat, and broccoli. Supercharged with antioxidants, vitamins, and essential nutrients, these foods strengthen our bodies and nourish our brains with the vitamins and healthy fats that make us feel satisfied. With tips on buying, storing and cooking these foods in the healthiest way possible, this supercharged book contains all you need to make your life zing with health and vitality. Each superfood has a page devoted to it. There is a description of what it is, what the benefits are, how/when to buy it and what to do with it. For example, raspberries, which I put in my morning shake every day, are super high in fibre, high in many antioxidants, high in vitamins A, C, E, K and the Bs, a good source of potassium, manganese, copper, iron and magnesium, and low in calories. This is a handy book to have with you when you go to the grocery store or market so you'll know what to stock up on to get/stay healthy. Hello Teena! Thanks so much of your review, great to hear the book is with you there in Canada. 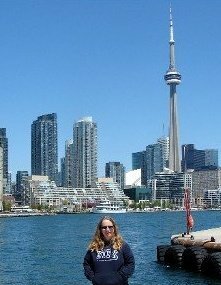 All the best from Sydney, Australia. I totally have to read this one! !